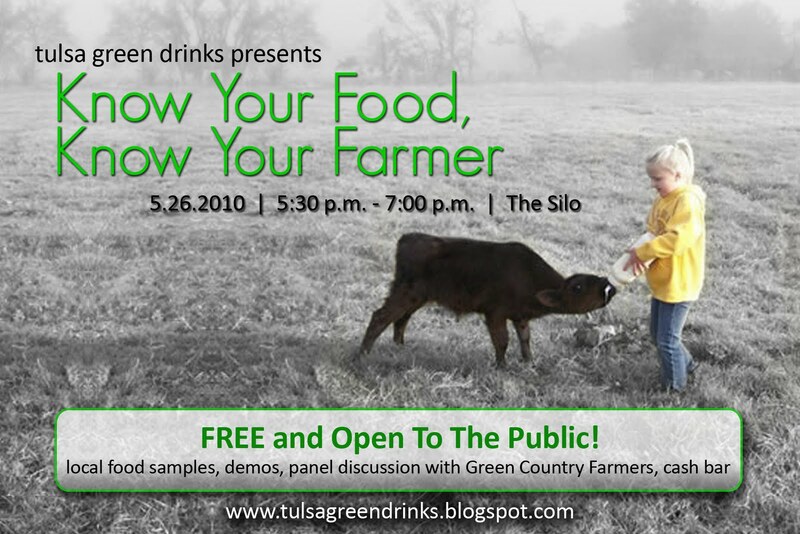 Global Green Drinks Webcast - "The State of Local Food"
Be part of the greater Green Drinks community! Tune in May 12th between 7pm and 8:30pm EDT for a live webcast forum organized by New York’s Hudson Valley Green Drinks. 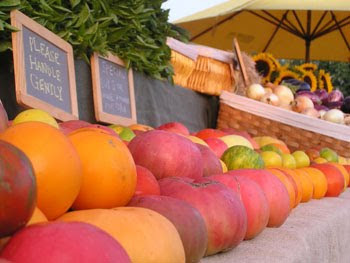 The topic: The Sustainable Food Movement – which is not limited to the Hudson Valley. 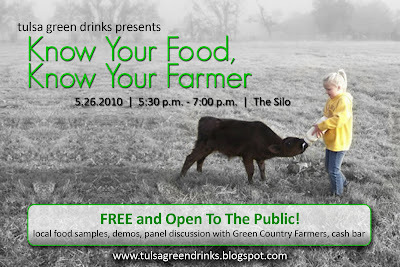 At 7:40pm, the presentation will begin and will include a State of Local Food address by the President of Glynwood and the event will be moderated by Diane Hatz of The Meatrix and Sustainable Table fame. As I write this it's Saturday morning and I am anxiously awaiting another trip to the Cherry St. Farmers Market. 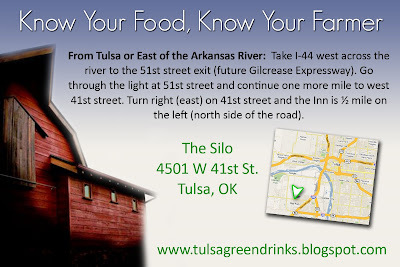 I'll arrive just as the vendors are finishing their table set up, the sun will have just risen, and Tulsans will begin streaming in to purchase the freshest, local, organic food in Green Country. But make no mistake, those farmers did get up today and jump on their laptop (like I did). They were probably up at 4am to finish loading & packing, before making a drive of 1-2 hours. Once on Cherry St, each vendor must erect a tent, table, signs, goods, displays, etc. The day before, they were out harvesting lettuce, pulling onions, boxing eggs, or making the drive back from the processor with a freezer full of grass fed beef & free range chicken. By 10:30am today, they'll be cleaned out of most inventory, having supplied delicious goodies to hungry folks, eager to make a home cooked meal for their families and loved ones. After 11, the farmers can head back home, rest, and be awoken by the rooster's crow on Sunday morning. Now let's step outside of that picturesque and pastoral image of the family farmer, and take a look at the grocery store. It's 5am and the 18 wheeler is backing up to the loading dock. 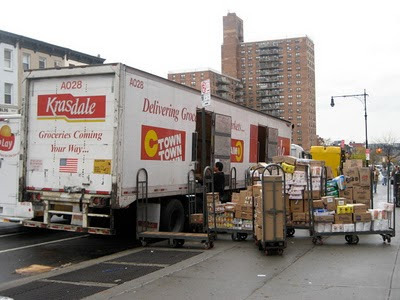 The driver, who may have driven 30 plus hours from the Port of Los Angeles (where much of our South American goods enter the country) hops out and starts unloading canned goods (full of sodium), potato chips (made with hydrogenated oils and trans fats), and liter upon liter of sugary high fructose corn syrup laden sodas. There's the produce, mostly conventional - covered with herbicides, pesticides, fungicides, and it's possibly genetically modified. The whole time this is occurring, the diesel truck is left running, dumping noxious fumes and pollution into the atmosphere. The food that is being placed on the shelves did not come from a nearby farm. Rather, it likely came from a processing plant where it was broken down and mixed with emulsifiers, additives, and coloring agents. In the end, this food like substance was sealed neatly in packages made from virgin paper and petroleum based plastics. What one purchases at a grocer might seem cheaper than the farmers market goods, but when we buy processed foods we are not paying for nutrition or sustenance (there is virtually none of that in there). Rather, we are paying for packaging, corporate marketing, genetic research, pesticides, environmental damage, and fertilizer. These hidden costs are purposefully not self evident. And, our society is paying for an epidemic of type II diabetes, childhood obesity, and a loss of food safety & diversity. Perhaps you pay less at the store, but your tax dollars directly support that worthless model of a food system through government subsidies. I don't know about you, but that just doesn't sit well with me. Don't get all depressed on me now. 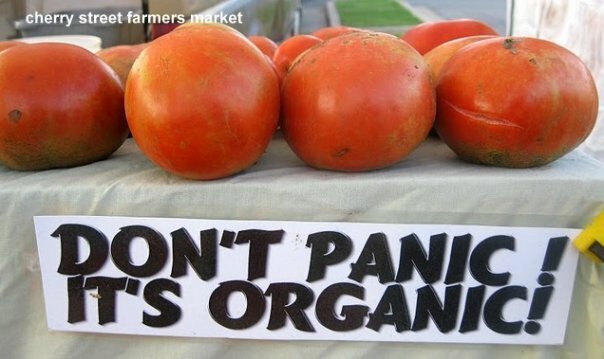 Really, we should be energized because right now the local food movement is reshaping the way we eat. Plus, there are many things you can do, today, to change the current system. First of all, know that it did not happen overnight. The policy changes that created this system occurred during the Nixon administration. More specifically, as a result of Earl (Rusty) Butz's (Nixon's Secretary fo Agriculture) agenda, which tore down 40 years of sucessfull farm policy. I don't want to get all polictical - my point is simply that the system was revolutionized in a lifetime, and it could be reversed in the same or less. How? Consumer is king. You vote with your dollars every time you take a bite. It is up to you to decide if you want to vote for local food or not. This blog is only scratching the surface. There are countless books & cookbooks which have been written on the subject, endless documentary films, well funded institutions, grassroots organizations, and hundreds of thousands of people who have decided that it is time for a paradigm shift. You can learn more, right here in Tulsa, at May's Green Drinks event at the Silo. There will be a demonstration on "Busting The Myth" - about local organic foods being more expensive. This will allow you to see with your own eyes that, pound for pound, your get more for your money from your local farmer. The event is free and open to the public. If that's not enough incentive to get you over there, there are free food samples prepared by Executive Chef Jeff Stark. Yummo. Wash it down with beer or wine from the cash bar. 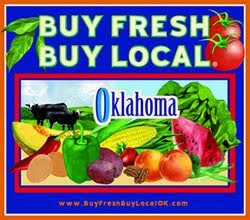 What: "Know Your Farmer, Know Your Food"
Who: Sustainable Green Country, Buy Fresh Buy Local, Kerr Center for Sustainable Agriculture, Green Country farmers, and Tulsans like you.